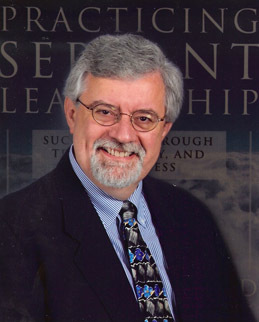 Larry Spears was the CEO of the Greenleaf Center for Servant-Leadership for nearly two decades. He now runs the Spears Center for Servant-Leadership (Indianapolis), and serves as Servant-Leadership Scholar at Gonzaga University (Spokane). Larry is also the one who studied Greenleaf’s writings for years, extracted and shared the very popular 10 Characteristics of Servant-Leadership. A very humble man, he often points to Robert Greenleaf as the source of his message. However, calling Larry a driving force behind the modern servant-leadership movement may be the understatement of the year. I’m fortunate to count Larry among my mentors and friends. He has encouraged my work here and been a sounding board through some of my toughest moments in the servant-leadership movement and beyond. 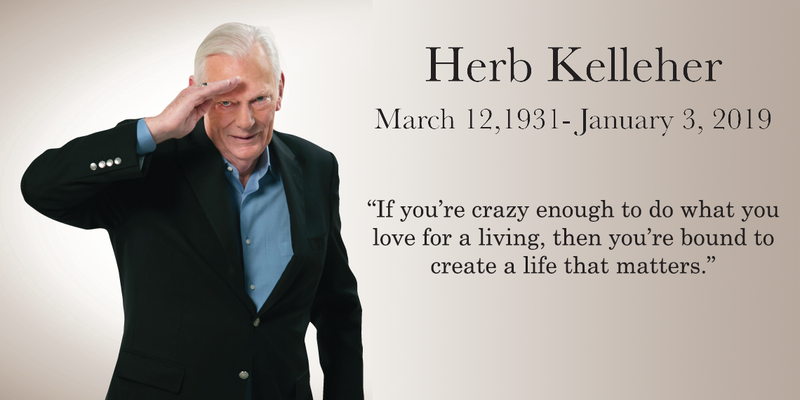 I am amazed by the wealth of information and his wisdom, especially for servant-leadership advocates and practitioners. So I was honored when he agreed to sit down for an interview. 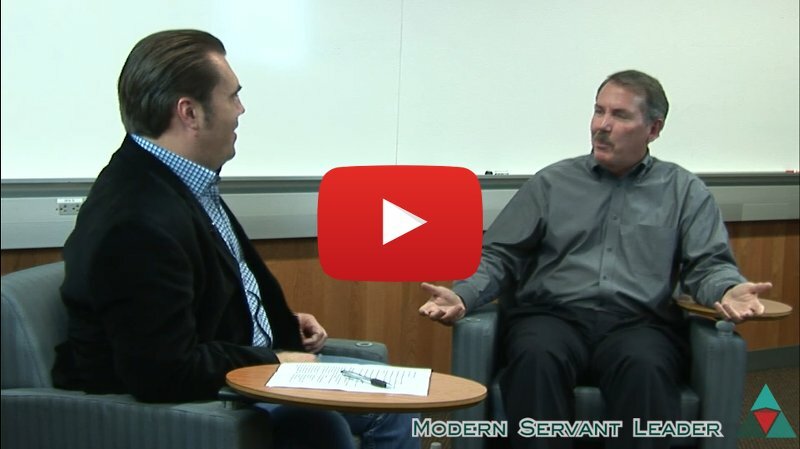 In this interview we cover a wide range of topics that Modern Servant Leader readers will enjoy. The full transcript is below. In addition, there are two video versions: highlights (10 minutes) and full-length (60 minutes). You can jump to each topic by the link in the table below. Enjoy! Ben: Hi and welcome to ModernServantLeader.com. Today we have a real treat for you. I’m here with Larry Spears who’s really one of the Godfathers of servant-leadership if you will. Larry has written a ton of books and knows a great deal about Greenleaf’s views on servant-leadership. In fact, he was the CEO and president of the Greenleaf Center for Servant-Leadership for almost two decades and now runs the Spears Center for Servant-Leadership. In fact, Larry, you just recently received an award from the Greenleaf Centre in the U.K. for your all your contributions to servant-leadership over the years, right? Ben: Great and Larry what I’d like to do before we dive into the questions that I know everybody is wondering about from your take on servant-leadership is, I’d like to just kind of get a feel of who Larry is. You know they’d like to know a little about your background, where did you grow up where did you go to school? So, tell us a little about who Larry is and where you came from? Larry: Okay. I was born in a small town in south-western Virginia called Pennington gap Virginia. My father couldn’t find work there, the coal mines had sort of run out, and so they moved to Detroit when I was about six months old and so I grew up in Detroit until I was 12, on the southwest side of Detroit, and then my family moved to Indianapolis in 1967 and so I went to a junior high, high school and college in Indiana. As a junior at DePauw University in Greencastle Indiana, I spent a year off-campus in Philadelphia, on an experiential learning program called the Great Lakes College Association’s Philadelphia Urban Semester, and so I had an internship as part of that work with the American Friends Service Committee, and that was my introduction to Quakers and, and ultimately, to Robert Greenleaf, who was also a Quaker. After graduation, my wife and I moved out to Philadelphia and we lived there for about 13 or 14 years and then moved back to Indianapolis in 1990 to head up the Greenleaf Center. Ben: So, Larry, you mentioned your introduction to the Quakers and Robert Greenleaf is that when you first heard of the term servant-leadership? Larry: Yes, it was in 1981, I was on the staff of Friends Journal, a Quaker magazine in Philadelphia and articles for the journal came by way of contributing authors. Larry: And so in the mail one day we received an essay which was actually a chapter from Teacher as Servant, by Robert Greenleaf and that was the first time I ever heard the term ‘Servant-Leader’ and I remember to this day, what an impact it had on me to see and hear this term because for me—and I’ve heard this said by many people over the last 25 years that I’ve been involved with servant-leadership—but for me it gave a name and language to something that I felt sort of intuitively within myself as, as who I wanted to sort of become but I’d always felt, you know this lack of clarity in terms of what to call it. I think when you have this feeling of wanting to serve others you often can feel kind of lonely too and so I think one of the great things that Robert Greenleaf did in coining the term servant-leader was giving us some language and ideas where people who share similar ideas could find one another and I think that’s what has happened. In no small measure you know people are increasingly finding one another through servant-leadership and through the many organizations and associations that are working with servant-leadership today. Ben: Wow! I love the way you framed that right. It’s amazing to me to think of the lineage and all the things that have happened since that day what would have happened if Robert Greenleaf hadn’t sent that letter to the journal, that you were working on, I mean because ultimately that led to your role as leading the Greenleaf Center for Servant-Leadership down the road, right? Larry: Well it had a role in that nine years later. My wife and I, we discovered we were expecting our second child, and that got us to thinking about family issues of being so far away from grandparents and our children not seeing them very often. I felt very uncomfortable about that. I’d had a very close relationship with my grandparents growing up and they lived literally next door to us most of my life as a child. So, we began to talk about the idea of moving back to Indianapolis if we could find the right position. So, I got a subscription to The Sunday Indianapolis Star sent to me in Philadelphia and the first issue I received contained a notice of a job listing by the Greenleaf Center. They were looking for a new CEO for the Center which was then near Boston and was relocating to Indianapolis. I was familiar with Robert Greenleaf, and with servant-leadership. It had helped to inspire my own work during the intervening decade. What they were looking for was the kind of experiences and skills I had, and so I applied for the position and was hired in the beginning of 1990. Ben: Wow! Wow! I never knew all that background is fantastic and I didn’t know it started in the Boston area, that’s interesting. Ben: You mentioned Larry that you’ve been doing this for 25 years now, it’s really a quarter of a century that you’ve been working in servant-leadership. So over that time you must have heard a lot of different definitions of servant-leadership come and go. 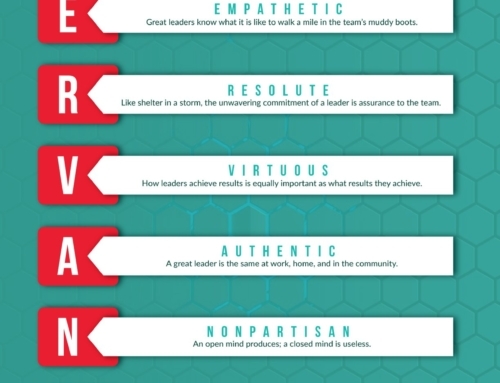 What’s been your favorite, how would you define servant-leadership? Larry: I use Robert Greenleaf’s definition – the idea that it is the servant-leader is servant first. There are some people who have used the phrase ‘Leader as Servant’ too. I’ve seen that in different places, but that does not get to the heart of what Robert Greenleaf was talking about. He was talking about people who have a servant’s heart, and then feel called upon to provide leadership with and for others. I also think that his best test of servant-leadership is critical: Are people healthier, wiser, freer, more autonomous, more likely themselves to become servants? And what’s the effect on the least privileged in society? Will they benefit or at least not be further deprived? For me the, the idea of the servant first and the best tests are at the core of understanding servant-leadership as I understand it, and as Robert Greenleaf wrote about it. Ben: I like it. I like it. And that’s – it does seem like the most pure. You’re right it seems everybody has different variations or takes on that, but I think that seems to be the core, and the centre of where it’s all coming from. Ben: Now I know you’ve also had the opportunity to work with a lot of CEOs and a lot of executives and different organizations that work with servant-leadership and try and implement servant-leadership in their organizations. Over the years have you come across something that is particularly challenging about servant-leadership? 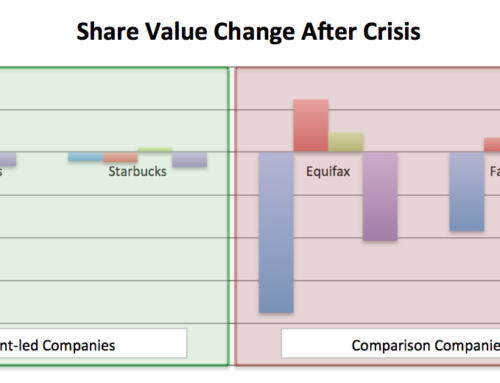 What do you believe executives find to be the most difficult part of practicing servant-leadership? Larry: Well, I’d like to take a step back if I can and to say this: I think it’s easy for us to focus on the idea of executives as servant-leaders and that really doesn’t get to the point of the fact that servant-leaders are found everywhere inside organizations and in society. Larry: Just to try to answer your question though, when I’ve worked with executives or others, I think one of the key challenges is, an understanding of the underlying definition and philosophy or belief that Robert Greenleaf wrote about as part of servant-leadership. I think it’s sometimes tempting for folks who are genuinely excited about servant-leadership to want to start of jump into implementation, without having done the personal work that is necessary. Larry: You know, servant-leadership begins with the individual and then once you have kind of a critical mass of individuals within an organization, it is also then possible for organizations to act as servant-led institutions. But, you can’t get to that point I think realistically, without having invested some time in your own personal growth and development. So, I’ve thought that you know, for 25 years, that starting with Greenleaf and particularly The Servant as Leader essay is always the best place to start and if you just invest some time in that, reading that, that’s a big head start in getting on your way to implementing several-leadership within organizations. Different organizations have done you know, brown bag lunches discussions around The Servant as Leader, or other writings by Greenleaf and others. I think those sorts of informal ways of understanding servant-leadership can help a lot within organizations and then after you reach a certain level of commitment and understanding, there are consultants and trainers who have been working with servant leadership for many years. I think the work that Duane Trammell and Ann McGee-Cooper and their associates have been doing with companies like Southwest Airlines and TDIndustries are stellar examples of what can be done within organizations once they make a commitment to servant-leadership. Ben: I love it. I just want to go back and highlight one thing, because you touched on a little bit, you said The Servant as Leader is kind of the first step you recommend right? It’s one of the things you just invest time in reading, “The Servant as Leader”, by Robert Greenleaf. I just wondered, it was his original essay, wasn’t it? Ben: One of – at least, one of the earlier ones, great. Thank you. Larry: And that essay was published in 1970, when Greenleaf coined the term, “servant-leader”. Larry: Greenleaf went on to write thirteen or fourteen essays and a couple of books during his lifetime. 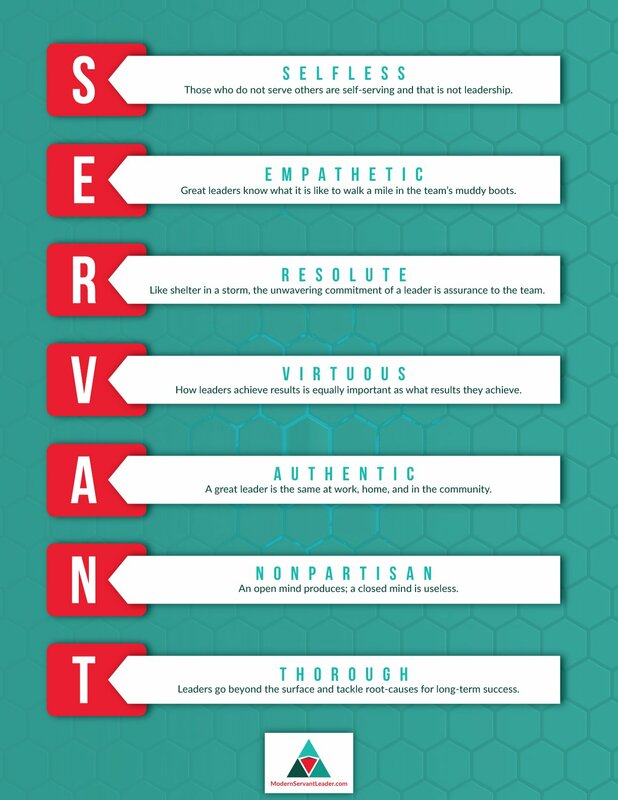 If I can, I might just add that the hyphen in “servant-leader” is critical. And you know most people don’t look at that, I don’t think, or even have maybe even thought about that. But for me, and I think for Greenleaf, the inclusion of the hyphen in the term “servant-leader”, was critical in communicating, that it’s at least a dual commitment to serving and leading. And, in fact with, with servant as the first word, that’s the starting point, and then you look for opportunities to lead. So that sometimes gets overlooked. Ben: It’s absolutely true! I remember you mentioning that to me, a while ago, Larry, and I realized that my blog – on ModernServantLeader.com, I haven’t done a good job of keeping that hyphen in there. I’m going to go back and do some editing I think! [Laughs] But I appreciate it very much! Is Servant-Leadership a Religious Concept? Ben: One of the other questions that comes up a lot to me and I’ve heard several times is, some people believe one way or the other that servant-leadership is either absolutely a religious concept or absolutely not a religious concept. What’s your take on it? Is servant-leadership religious in nature? Larry: You can find a feeling of spirit. 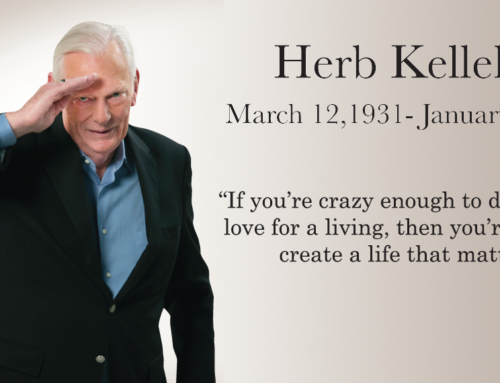 Ben: Yeah, I think always of Southwest, and it’s actually probably a little different take on the spirit, but I always think of Herb Kelleher and the natural high energy that they have in the excitement and energy around that. That, to me, jumps out as spirited, but I know that was probably a little bit more of an extreme spirited. Larry: It’s a good example. Are There Areas Unfit for Servant-Leadership? Ben: And, speaking of Southwest Airlines, Southwest Airlines happens to be one of the most well known as one of, well, the industry in which they work – the airline industry, is always touted as one of the most difficult industries to make money in, or the most challenging. Is there an industry or a functional area like that for servant-leadership, where it’s particularly difficult to practice servant-leadership or where servant-leadership just won’t work? Have you ever come across an area like that? Larry: You know, it’s my belief, and it has also been my own experience, that there there is no place that servant-leadership cannot operate. Let me take a couple of slices at this. First, I think it’s important to realize that anybody can choose to practice servant-leadership wherever they are. It does not require the approval of your manager or CEO, and servant-leadership is within us and it’s about who we want to be and how we want to try to relate to other people. We don’t need anyone’s approval to act as servant-leaders within organizations. I think it’s important to recognize that. We can start practicing servant-leadership within ourselves, and within organizations where we work. When you get to the point that institutions begin to embrace servant-leadership, that’s great, and I haven’t found any particular areas where it’s not possible to practice servant-leadership. One of the arenas where I’ve seen the least voicing of servant-leadership in some ways has been in the political, government sphere. I’ve not found a lot of people in elected office, for instance, who have talked about servant-leadership. Over the years, the energy around servant-leadership has sort of focused around businesses, health care, higher education, schools, and faith-based institutions. But if there’s an area where I’d like to begin to see more people talking about servant-leadership it would be in the realm of public service. Ben: And practicing it more. Ben: Discussions but I would agree with you hundred percent, there. 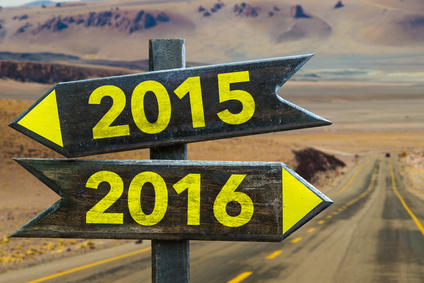 What Trends Currently Influence Servant-Leadership? 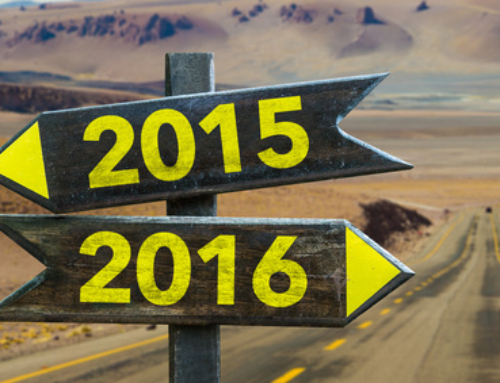 Ben: Do you see any trends that are making servant-leadership easier to adopt or more popular lately… anything? Larry: Yes. You know a couple different thoughts come to mind. One has been the growth of servant-leadership internationally. It started out with Bob Greenleaf from the U.S., and the focus of the Greenleaf Centre for 20 or more years was really on the U.S. When I came to the Greenleaf Center in 1990, I had a particular interest in a couple of different areas—one was around the possibilities of international development around servant-leadership. Another was the idea of servant leadership as related to education and particularly higher education, but also community education and other kinds as well. In both of those areas, I’ve seen tremendous growth and development. In the last 25 years there has been an explosion, really, of awareness and practices of servant leadership around the world. In the early 1990s, we began to authorize through the Greenleaf Center, the translation of The Servant as Leader essay into other languages; and, ultimately, there were 10 or 12 different language editions of The Servant as Leader essay published. I also had contact with book publishers in other countries and authorized the translation into other languages: Korean, Mandarin Chinese, Japanese and other languages. In 2005, my colleague at Gonzaga University, Shann Ferch and I launched the International Journal of Servant-Leadership, which is now in its 10th year. The founding of that annual journal was to try to really encourage awareness, and to give a place where other voices of servant-leadership inside and outside North America could be published, and that has happened. We’ve had 10 issues since 2005. In the arena of Education, there have been a growing number of institutions that are working with servant-leadership in a wide array of approaches. Today, there are courses that are being taught on servant-leadership. There are also courses on leadership or other subjects that include servant-leadership books as texts. Also, the whole service-learning movement was founded in 1980 by a group of experiential educators who came together and were looking at Greenleaf’s idea of servant-leadership, along with experiential learning, and who brought these two ideas together in a new hyphenated term of, “service-learning”. Ben: I’m not familiar with that thinking. What is “service-learning”? Larry: Well, service learning can be found in many schools, universities and high schools that have service projects. Service learning generally includes a learning component. Learning about serving and leading and similar ideas is part of what is intended through service-learning programs. So, in both international development, and in education, I’ve seen a real growth around servant-leadership which I find great greatly encouraging. Ben: Got it! Wonderful. I wasn’t familiar with that. That’s a great example. How Does One Practice Servant-Leadership When It’s Not Valued? Ben: Kind of switching gears a little… another area that I get a lot of questions about you know, a lot of people feel that they are really passionate about servant-leadership but they feel like they are trapped in an organization that is not valuing servant-leadership. What do you say to somebody like that when they’re in an organization and they really want to practice servant-leadership or they want a servant-leadership based organization, but they just feel like the company or organization they work for does not value it? Larry: Well, I say what Robert Greenleaf said in his writings, which is that anyone who is interested in servant-leadership genuinely can seek to practice it. Of course, you can feel lonely if you feel like you’re the only person who’s attempting to practice servant-leadership within an organization, so trying to find allies within your own organization is a good starting point. By the way, I often use the term “servant-leader in training” in the work that I do with Gonzaga University, because we’re all servant-leaders in training, whether we’ve been working with this concept for you 25 or 50 years, or whether we have just been introduced to it that day. Larry: You know there is always more we can learn, we can always get better. Hopefully we do get better in our practice of servant leadership as we move along in life and have more experiences. Larry: If you’re in an organization that is a traditional hierarchical structure, there are always ways you can find people who share some of your interests. I think by just finding one or two allies you can begin to learn from one another. You can do some shared reading, or just have a conversation. Life experience, of course, is a major part of servant-leadership. Some of the best servant-leaders have never heard the term “servant-leader,” or read anything about it. You don’t have to have read anything about servant-leadership to be an effective and faithful servant-leader. I do know there are people who are also interested in working for servant-led organizations, and so for me one of the great things you’ve done over the years with Modern Servant Leader has been the compilation of these lists of organizations, businesses, and other kinds of institutions that have embraced servant-leadership—some of them national and international in scope with offices in various cities around the country and around the world. One of the great things you’ve done is to help provide a starting point where people who would like to work for a servant-led institution can begin to explore and perhaps attain that possibility for themselves. Ben: Well thank you, Larry. And I did not pay Larry to put that plug in there for Modern Servant Leader. But thank you! Can a Bad Boss Become a Servant-Leader? Ben: Now many of those individuals who are in an organization where they don’t feel servant-leadership is valued, usually they’re working for a leader or a boss who they don’t feel is a servant-leader themselves. You know, they typically see somebody who they particularly feel is self-serving. Is it possible for someone who is self-serving to become a servant-leader? Larry: Yes, but I’m also going to take a step back on this one too. In my experience, it is far too easy for us to judge others and judge positional leaders within organizations as not embracing servant-leadership. But there is something within human beings that just kind of brings us to judging others. Over the years, I’ve come to feel like that’s not a good thing for us to be doing. Those of us who aspire to servant-leadership, who try to practice and live our lives as servant-leaders and servant-leaders in training, it’s generally good for us to keep the focus on ourselves. Certainly, to start with ourselves, and to do a careful examination of who we are, how faithful are we in our own practice of servant-leadership? There is a judgmentalism that is not a healthy thing, and I have seen that within servant-leadership from time to time over the years. So, having said that, and to try to answer your question as well, I think it is possible for self-serving people to change over time. We see examples in life and literature of people who start out one way and end up another way. Sometimes it takes a major crisis in one’s life to sort of see the light, if you will. To see that the way they’ve been functioning and operating is not a good way to be in relationship with other people. One thing Robert Greenleaf was clear on was that, people can grow to be servant-leaders over time, even those who are not natural servants can, with extensive work and commitment, grow to be effective servant-leaders. Part of the work I’ve done around the years with the characteristics of servant-leadership that I identified in his writings, has been focused on trying to encourage people to look at ways in which they could become more effective servant-leaders and less self-focused. What Advice do You Have For Developing Servant-Leadership Skills? Ben: I want to kind of jump off track a little, because what you talked about characteristics. I know that that was one of the ways that I came into learning about servant-leadership though the characteristics of servant-leadership, which you extracted from Robert Greenleaf’s writings and, and that’s helped me grow, personally, in my career. Like you said, we’re all servant-leaders in training. I don’t claim to be a servant-leader myself – I try and work on it, too. What I wonder is what do you recommend to somebody who wants to grow their servant-leadership skills? How do they best go about that? Larry: Well, Robert Greenleaf wrote about a number of characteristics related to servant-leadership, sprinkled throughout his writings. But in 1991, I began to notice certain keywords and phrases that were appearing over and over in Greenleaf’s writings. And so, I eventually did a comprehensive read-through of his published work at that time, and I wrote down a list of 40 or 50 different terms, mostly characteristics of servant-leaders that he was writing about. And then I went back through and began to make little tick marks every time I saw the word in his published work. And it was through that simple process that I sort of brought together these top 10 characteristics of servant-leaders. These were characteristics that Greenleaf identified in his writings but he just hadn’t brought them together in any way. But I did that because I was, from time to time, having people who said to me that they were they were drawn to servant-leadership but they found reading Robert Greenleaf’s writings sometimes hard going. And it can be. You have to be committed to understanding what Robert Greenleaf is writing about. I was looking for other ways that people could also enter into servant-leadership and then hopefully once they got to a certain point they would feel ready and prepared to read what Greenleaf had written. And so, these characteristics came together that way, and with that purpose in mind. Over the last 25 years they have helped many people to develop an interest around servant-leadership and particularly to find ways in which they can grow and develop as servant-leaders. The one characteristic that was clearly head and shoulders above the others in terms of the frequency in which Greenleaf mentioned it was, “listening”. There’s a lot that can be done around trying to become better listeners. One of the courses I teach at Gonzaga University is focused on listening, grounded in Robert Greenleaf’s writings. I believe if we seek to understand and practice listening, persuasion, healing and the other characteristics that Robert Greenleaf wrote about, it helps us to become more effective and authentic servant-leaders over time. Ben: Nice, nice… and for those of you watching, if you’re not familiar with the characteristics of servant-leadership that Larry’s been talking about, we’ll make sure and provide a link to those on the Spears Center’s website, for them to all see, as well. Ben: The other big question we get a lot is, you know, it’s not just in servant-leadership but really in all circles around leadership development, leadership training, is the big question of the difference between leadership and management. How do you define the difference between the two? Larry: Well, I have to say I am sort of a one-trick pony. I’ve always had a single focus on servant-leadership and have had little interest, frankly, around general leadership or other approaches to leadership, leadership theories and management. But you know, in general, I think that leadership is about people, and management is about systems and other things. Servant-leadership is about relationships between people. Larry: I think it’s a philosophy of life. But it really is something that finds its greatest effect in serving others and then looking for ways to lead. Ben: I like it… I like it. Ben: One of your many servant-leadership advocacy hats that you wear is, is with Gonzaga University, right? I believe it’s the Servant-Leader Scholar? Give us a little about that and the work you do at Gonzaga University? Larry: Sure! Sometime in the 1990s, I came into contact with a couple of faculty members at Gonzaga University and they came to our conference and one of them Shann Ferch and the other was Michael Carey, and so I got to know them. I published an essay by Shann in the Voices of Servant-Leadership essay series that we had during the years I was there. And, eventually, I had both Shann and Mike facilitate the Leadership Institute for Education, one of the programs that we operated in those years as well. At some point I was asked if I might like to do something with Gonzaga and I said I’d be very interested in that possibility. The starting point was the founding of the International Journal of Servant-Leadership, that was an idea which I had tried to get off the ground on two separate occasions in the 1990s. I had long protracted conversations with two different universities and both of them kind of fell flat over time, mostly because of questions of funding. Then, in 2005, Shann Ferch approached me and asked if I would be interested in working with him on, on the journal, serving as Senior Advisory Editor and I said, “I’d love that”. I had embraced that idea for a decade and hadn’t been able to make it work, because of funding. Shann said he had the funding all lined up. I was just sort of agog with the fact that he already had that taken care of. And so I jumped at the chance. Later, I was invited to come out and speak with undergraduate and graduate students at Gonzaga. Then, in 2008 I was asked to serve as an adjunct faculty member and to teach graduate classes in servant-leadership, and in listening. And in 2010, the servant-leadership scholar position was started. I just finished teaching my 50th class. Larry: For Gonzaga. I teach mostly online graduate courses in servant-leadership for their Masters in Organizational Leadership program, and for the Doctoral program of Leadership studies. I go out to Spokane once or twice a year and teach intensive classes and give some talks and meet with anybody who is interested in servant-leadership. I’ve had over a thousand students so far. I’ve discovered that I really enjoy teaching. something I had never had any experience with prior to 2008, but I really feel like, particularly in the online environment, it taps into my writerly instincts and allows me the time to craft responses to questions, to post announcements, you know, that go into some detail about different aspects of servant-leadership. And it’s one of the great joys of my life. Ben: Wonderful! I know their students are very fortunate to learn from you. That’s fantastic! Ben: And you mentioned about the writerly instincts. You know they there’s nobody I know who’s gotten more written words out there about servant-leadership. I mean, you know, I don’t know how many… how many books is it that you’ve written, edited, and published at this point? Larry: Well I’ve put together fifteen books on servant-leadership since 1995—some by myself, and others with colleagues. Ben: And you have most of them here today, Can we take a walk through, have you talk about each of the books and a little behind each one? Larry: I’d be happy to do that. Ben: Larry, why don’t you just take us through each of the books and tell us a little about what each one focuses on? Larry: Okay I’d be happy to. Part of my personal practice of servant-leadership over the years that I think has really found some of its best expression is through the work I’ve done with writers, contributing authors, and co-editors of volumes I’ve done. In many ways, I have felt best about my own work as a servant-leader in training through the work I’ve done on books, journals, and other publications. Just some brief comments on the books. They fall into three categories: One is a collection of five books of Robert Greenleaf’s writings, which I put together and then edited and had published. This has been to insure that Greenleaf’s own ideas on servant-leadership remain available to the reading public. The second category is a group of six servant-leadership anthologies that I’ve done over the last twenty years, which have been collections of anywhere from fifteen to thirty contributing authors looking at servant-leadership from a wide range of perspectives. Part of the work with that has involved wanting to make sure that the idea of servant-leadership gets expanded by many people who want to talk about servant-leadership in a variety of ways. The third category has been a collection of different books that I’ve done more recently, and journals. The first two books came about after Robert Greenleaf’s death. In 1990, his family sent me three or four boxes of books and papers that Robert Greenleaf had in his files. I remember sitting down and opening these boxes and looking through them. I began to see that the first few pieces of writings were not familiar to me. These were mostly typed, manuscript articles that Robert Greenleaf had written. As I went through the first box, and then into a second box, I kept finding more. And then there were dozens of them. In the end, there were nearly a hundred pieces of unpublished writing that I counted in Robert Greenleaf’s personal papers that his family had sent. Virtually no one was aware that Robert Greenleaf had been writing pieces over a period of 50 years as a means of his own personal understanding of ideas and themes. He had written anywhere from two pages, was sort of the shortest, to nearly a book-length manuscript of about a hundred pages. Greenleaf wrote as a means of understanding an idea, which is how he learned best, and then he filed it away. He probably did not have any intention of publishing most of these, but I got very excited because here were new ideas and thinking by Robert Greenleaf that had been unearthed. And so, I got some money from the Lilly Endowment, and we put together a kind of blue-ribbon panel which read through the hundred different pieces of writing. In the end, we published two books in 1996: On Becoming a Servant-leader, which is a collection of his writings on organizations and leadership practices, which I did with Don Frick. Peter Drucker wrote a foreword to that book. Then the second book was Seeker and Servant: Reflections on Religious Leadership which Anne Fraker and I co-edited, and Parker Palmer wrote a wonderful foreword for that book, and that’s a collection of his writing on spirituality and faith-related issues. So, two new books emerged in 1996 from this discovery of Greenleaf’s unknown writings. In 1998, I put together a series of essays that had been published by the Greenleaf Center but had never been collected into a book, and it became, in many ways, a sequel to Greenleaf’s book, “Servant Leadership”. This book was called, “The Power of Servant-Leadership” and had a foreword written by Peter Vaill, and an afterword by James Shannon. It collected together many of his later essays. It is kind of a companion volume to Servant Leadership. In 2002, I put together a 25th anniversary edition of Greenleaf’s book Servant Leadership, published in 1977. I invited Stephen Covey to write a foreword and Peter Senge to write an afterword and each of them did a fantastic job in what they had to share about servant-leadership and Greenleaf’s book, Servant Leadership. In 2003, I put together a book of Greenleaf’s writings which contained, “Teacher as Servant”, which had been out-of-print since 1979; The original, Servant Leader essay from 1970, which Greenleaf revised by about 50% and which he initially addressed to an audience of higher education students, and faculty administrators, but revised it in 1973. And interestingly, in the original 1970 edition he had quoted a recent graduate from 1969 named Hillary Rodham, who now of course, is Hillary Rodham Clinton, and so she has a paragraph or two in this book that Robert Greenleaf wrote. “The Servant Leader Within”, is about servant-leadership as it relates to education, particularly. I worked on this one with my colleagues Hamilton Beazley and Julie Beggs. So those five books are the five books that are available by Robert Greenleaf, today. All of them were published after his death, and so I will sometimes say, when I’m giving a talk, that you don’t have to be alive in order to become a published author, or to have new works published. You just need somebody who’s interested in your work and willing to put it together. So that’s the first batch of books. The second batch of books, have been the anthologies of servant-leadership. I originally envisioned and have continued to see this play out, year after year, that there was a real interest in knowing what other people had to say about servant-leadership on a wide range of topics and that the best way to do that was through collecting together a series of essays and articles by a wide range of folks. So, in 1995, the first book, “Reflections on Leadership”, was published. Scott Peck and Peter Senge contributed essays to that one, and Max DePree wrote the foreword. Three years later, in 1998, “Insights on Leadership” followed. Stephen Covey wrote a foreword to that and it had really some wonderful content. The subtitle was, “Service, Stewardship, Spirit and Servant-Leadership”, and I think those four words and phrases really appeal to people. It’s been the number one seller of the books that I’ve put together, beyond Greenleaf’s book, “Servant-leadership”. “Focus on Leadership” was published in 2002 and that book, I did with Michele Lawrence. It has a foreword by Ken Blanchard and that was followed by, “Practicing Servant-leadership”, a collection of essays, many of which had appeared in the essay series that I edited during the 1990s and early 2000s. It’s a great source of thought on servant-leadership. In 2011, Shann Ferch and I produced “The Spirit of Servant-Leadership,” which included a foreword by Peter Block. 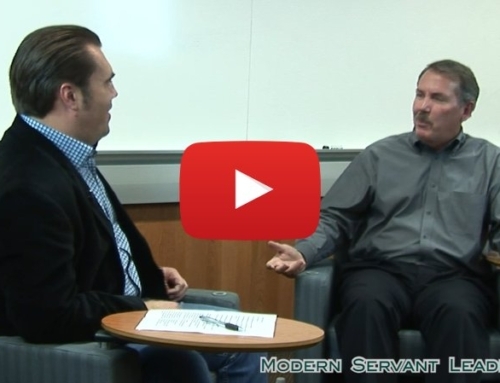 And finally, 2015, “Conversations on Servant-leadership”, which is a little different. It’s not an anthology, per se, but it’s a series of interviews that I and others have conducted over the years with folks like, Jim Autry, Margaret Wheatley, Parker Palmer, George Zimmer, Ken Blanchard, Frances Hessebein, and many others on servant-leadership. The third category of books I’ve worked on has been a series of four books. The first one was in 2008, called, “Scanlon EPIC Leadership”. EPIC stands for Equity, Participation, Identity and Competence. Warren Bennis wrote a foreword to this book and Max DePree wrote a wonderful afterward for it. Scanlon relates to Joe Scanlon, who coined that work and the Scanlon Plan, as it ultimately came to be called, which many companies practiced. For many years, the Herman Miller company was one of the key proponents of both the Scanlon work and servant-leadership. In 2009 my friend Paul Davis, with whom I co-edited the Scanlon EPIC Leadership book, approached me and told me that he had rescued from the dumpster at the last minute, the papers of a man named John Donnelly, which we’re about to be thrown out. Somebody who worked in the company and who had found out about this was horrified and thought that Paul was the person to call because he would understand what was happening and maybe be able to do something. Paul got in his truck and he raced over to the company and rescued John Donnelly’s papers. Donnelly had been the CEO of Magna Donnelly company in Michigan. He had an early death in 1985, I think, and so they were finally just sort of throwing out his personal papers after 20 years. Paul thought there might be something in these papers and asked me if I would work with him in examining these archival papers. We went through these boxes, in many ways similar to the process that I had done with Robert Greenleaf’s papers years earlier. Sure enough, we discovered a whole lot of writings that Joe Donnelly had written on the theme of the human treatment of human beings. It’s a great collection. Donnelly’s not well-known, but anybody interested in learning more about this business executive’s thinking around issues involving community and servant-leadership would do well to explore that book. My colleague, George SanFacon, and I had a dear mentor, Bill Bottum, who was CEO of the Townsend and Bottum family of companies for many years. Bill was really the principal person who brought George and I together and which resulted in both a friendship and colleagueship around a number of publications. Bill Bottum, who died in 2005 on Valentine’s Day, had published three pieces of writing that were known to us, but none of us were really aware of anything else that he had written. Unlike any other publication I’ve ever done, in this instance I had a series of dreams that I was in Bill’s basement and was looking for something. That was the first dream. Then, a few days later, I had a similar dream, that I was once again in Bill’s basement and I was supposed to be finding something. Now, I’ve never had that experience before or since, but in this case, you know, I puzzled over what it meant. I frankly tried to ignore these dreams for six months. I ignored these dreams but they kept nagging at me and I would return repeatedly to thinking about it. One day, I called Bill’s daughter, who was living in his home after Bill’s death, and I asked her if she knew of any other writings that Bill had done, besides the three that we were aware of? She said, well no, she wasn’t, but that he had tons of file cabinets and boxes down in the in the basement and she didn’t really know what was in there. I told her about these dreams, and I asked whether she’d be willing to have me come up and maybe spend a weekend down in the basement, going through Bill’s files. I talked with my friend George SanFacon, and we agreed that we would go over to his home together and spend a weekend going through the basement. Again, you know, I should not have been as surprised as I was, given my previous experiences with the papers of Greenleaf, and with Donnelly, but we began to unearth all these writings that Bill had done. There was ultimately about 1,100 manuscript pages of talks, of essays, of his own reflections and many other things that Bill had written. And so, we decided in consultation with his family and friends that we would try to put together a book of Bill Bottum’s writings as a testament to his commitment to servant-leadership and related ideas. In particular, Bill had a lifelong commitment to raising awareness and practice of the Beatitudes. So, this book was titled, “Within Your Reach: The Beatitudes in Business and Everyday Life” and is a collection of writings by our friend and mentor, Bill Bottum. A fourth category of publications has been the International Journal of Servant-Leadership, which we started in 2005. Shann Ferch is the editor of the journal. I serve as a senior advisory editor and together we have created 10 volumes over the last 10 years of the journal. part of our thinking in starting it was to encourage international understanding and practices of servant-leadership, to bring in voices that were not being heard from outside North America around servant-leadership. It’s a refereed journal, so there’s a blind panel that reads through manuscripts and then makes selections. It has really been a means of spreading servant-leadership ideas and themes throughout higher education, in particular. While it’s not here I would just also mention that in recent years I have found great joy in collaborating with a series of co-writers on pieces. For many years, I just did writing on my own, but about eight years ago I began to work with folks like George SanFacon, Richard Leider, Paul Davis, Ralph Lewis and others, on pieces of writing related to servant-leadership and looking at it from very different perspectives. So, anybody who’s interested, you can go to the Spears Center website: www.SpearsCenter.org and find many of these essays. I’ve written on the understanding and practice of servant-leadership; servant-leadership characteristics; a series of three or four pieces with Richard Leider that I’ve done looking at seekers and servant-leadership; philanthropy and servant-leadership; Ralph Lewis, Beth Lafferty, and I collaborated on a piece on Myers-Briggs and servant-leadership; and there are others. Recently, a colleague of mine at Gonzaga, Joe Albert, and I collaborated on a piece on Bruce Springsteen as a servant-leader, examining his music and lyrics as well as the way in which he has collaborated with his band mates. Anybody who’s a fan of Bruce Springsteen, as I am, might find that piece to be of particular interest. The books, the journals, and the essays that I’ve written around servant-leadership have really been a major focus of my work and has brought great joy to me, personally and also, I hope has helped to spread the good news of servant-leadership. Ben: Thank you for walking us through that Larry. Now, in addition to the books, I know that you’ve also gotten some other press in, like when you were at Greenleaf’s Center a while ago, there was that really big piece by NBC Dateline. How did that impact servant-leadership? That was probably the biggest audience that servant-leadership has had. Larry: Well I think certainly with expanding the servant-leadership movement, it was a pretty big deal. You know, there’s not a lot that can be done or even learned in a seven-minute segment. But you know I was contacted by the producers, asked to come out to New York, they did an interview with me and then I provided them with contacts to a number of folks, including John Bogle of Vanguard Mutual Funds who they interviewed. It was a very intensive three-day experience with the producers and Stone Phillips, the interviewer. the program aired and was seen by ten million people and so it was a big thing, insofar as ten million people were introduced to the concept of servant-leadership in a seven-minute video segment. Larry: Interestingly, the Greenleaf Center was a relatively small, non-profit organization and for an organization of our size it had a big impact. We were inundated for a couple months after that with lots of inquiries of people who wanted to order books, or to find out more about the Center, and we gained a number of new members as a result of that. We had more people at our conferences for several years that followed that. I admired the fact that NBC Dateline had enough interest to want to do a segment on servant leadership. Ben: Absolutely, and again, for those watching, I’ll put a link in the below, to the footage from NBC Dateline so you can see it there. Yeah, well thank you Larry. Is there anything else that I haven’t asked you today, that you’d like to talk to the subscribers and readers of Modern Servant Leader about? Larry: Well, I would simply like to say that one of the growing edges for me around servant-leadership and my own exploration, particularly in recent years, has been my work with George SanFacon, my colleague. We’ve collaborated on several things, and George has had a decades-long commitment to the idea of the “Council of Equals” and I know you’ll be interviewing him for another segment in your series. But through my friendship with with George, I’ve come to understand more clearly what Robert Greenleaf meant when he focused upon the Council of Equals as a pivotal way in which organizations can practice servant-leadership. So, I guess, if I had a closing statement it would be just to invite viewers to read what Robert Greenleaf had to say about the Council of Equals, particularly in the Institution as Servant essay by Greenleaf, and to read George SanFacon’s book on the Council of Equals. Then, if you’ve developed sufficiently around servant-leadership within an organization, to look carefully at the Council of Equals model as one which might speak to you. Ben: I like it. Thank you. And, and yes, if the video is not out there, soon there will be an interview with George SanFacon as well, on the Council of Equals, so thank you! Larry: Thank you very much. I appreciate it. How Do People Contact Larry? Ben: Larry if there’s anybody who wants to follow up with you or learn more about your work and the Spears Center’s work how do they find you? Larry: Well. I’m on the internet at www.Spearscenter.org (you can also email Larry at [email protected]). So there’s a website there with lots of free articles and essays that you can download and other information on servant-leadership as well. Ben: Wonderful. Well, thank you so much for your time today, Larry. It’s really an honor and a pleasure. We appreciate you taking the time for Modern Servant Leader. Larry: Thank You, Ben. And thank you for the work that you do I really appreciate it too. Ben: Thank you. Until next time, keep serving.